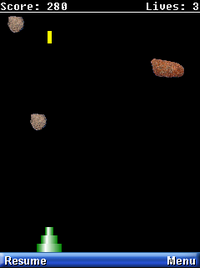 Shoot asteroids out of the sky before they reach the ground. Earn points for each one you hit and lose points for each one that reaches the ground. Supports touchscreen or keypad.